Tuesday, April 22 is Earth Day, an annual celebration during which events take place all over the world in support of environmental protection. According to Wikipedia, the first Earth Day was celebrated in 1970, and is now coordinated globally by the Earth Day Network and celebrated in more than 192 countries on April 22 each year. In honor of Earth Day, this week we’re focusing on green, eco-friendly and socially responsible items available in our assortment. Why not do something good and give back to Mother Nature, the planet and the people who inhabit this home we all share! Dreambean Candles products are handmade by participants of Bright Endeavors, a non-profit social enterprise and job training program committed to helping homeless and at-risk young women ages 16-25. Elevate the at-home spa experience with the Bliss Bag, 32 ounces of soothing fair trade Pink Himalayan soaking salt scented with invigorating, phthalate-free rosemary and mint oils. Each biodegradable Bliss Bag offers up to eight relaxing baths that draw out impurities and gently soften skin. Proceeds go toward support training, mentoring and permanent job placement for the young women that lovingly create and package each product. Helping Hand Artisans is a social enterprise comprised of fair trade crafter and artisan collectives in the developing world. Its mission is to help these people create sustainable livelihoods for their families through the sale of their beautiful, eco-friendly crafts. They offer a line of fair trade, stylish, handmade accessories, housewares and gifts that are perfect for every occasion – each with an individual story. Freedom and independence ring true in these bold iron bowls. Artisans in India collect each individual iron ring from local repair shops and hand-weld each of the connection points. Helping Hand Artisans provides jobs and stability where few employment opportunities exist. Looking to add a little light to your outdoor space? 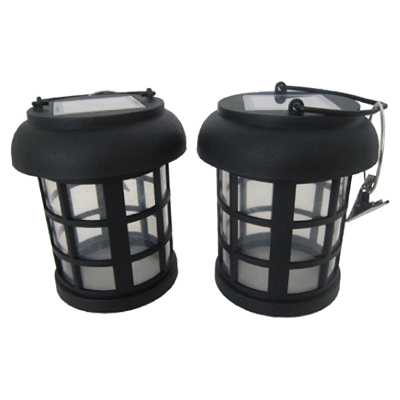 The Hanging Solar Lantern set is ideal for your patio or deck. Simply clip to an umbrella for ambient lighting around a table or even place on a flat surface. These open-bottom LED lanterns are eco-friendly and powered by an integrated solar panel that automatically turns the lamp on at dusk and off at dawn. When fully charged, they provide up to 8-hours of light per night. Lanterns include handle, hanging clips and replaceable rechargeable Ni-MH battery. Solar charging is really in right now and the Powerstation features a heavy-duty, large capacity battery that is a fully portable power source, perfect for cars, trucks, motorcycles, boats, RVs, tractors, power failures or situations without conventional power sources. Features include built-in professional strength 6-gauge booster cables with reverse polarity alarm and multiple power outlets – two 12-volt (auto), 110 volt (household appliances, 200 watts max.) and USB port (for charging PDAs, iPhones®, MP3 players and other portable devices). The Solar eCharger™ 2.1A recharges mobile electronics with a built-in Li-ion battery that fully recharges in 5-8 hours via sunlight or 2-3 hours via AC adapter. Indicator lights when unit is ready to deliver power (either from DC or solar) and when batteries are charged. Uses superior monocrystalline solar cells and features two USB outputs. Accessories include AC and DC chargers and cell phone tips.